Rob is the other Co-founder and can normally be found repairing Anni seats! Lowest mileage diesel Anni in the UK???? At most Show n shine comps every year! Stunning Black Anni with a lot of time taken to keep it in this amazing condition! A beast of an Anni! Stunning black Anni on air!! 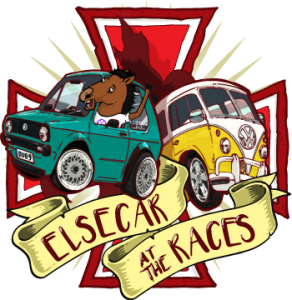 Elsecar at the Races is a VAG car show, with large amounts of indoor and outdoor space. It has evolved over the last 19 years from a small meet of enthusiasts to what is now one of the UK’s largest specialist car shows. Our first year at Doncaster Racecourse was a great success, so we’re back there again for more of the same! GTI 25th Anniversary O.C. will again be taking part in this great show. Club stand details will be posted soon.